soccertaz wrote: I'll take Gaudreau with my Calgary WC please Thanks! This is also a reminder for anyone who has active players but has not submitted a team that there are prizes available considering the October deadline did not have 20 teams! 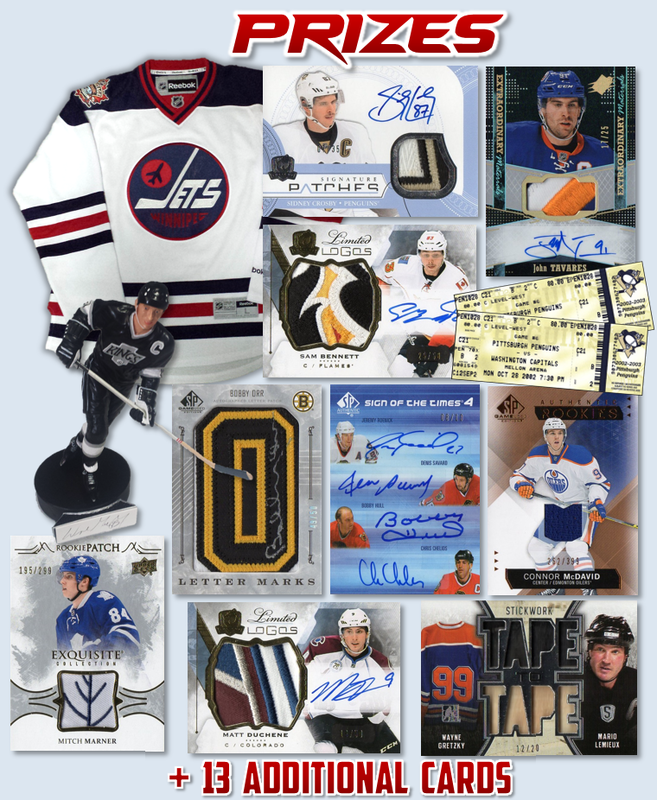 There will be a final chance to add to and improve your rosters on Sunday and Monday night in the Teeks643 Box Breaks that are currently posted. Please make sure to submit roster changes for Nov. 1st! Can I select Kessel with my Pit Wild taking me to Toronto and Marner, then use my TB Wild on Kucherov taking me to Winnipeg and Wheeler? FINAL 2 WEEKS IN THE NHL SEASON! Can anyone chase down Shawn? Will he repeat as champ? Who will stand their ground in the hit draft, who can improve their position in the final weeks? One last chance to swap up to 4 players in/out for the final week of play. Roster Changes due March 31st. LOOKING FORWARD TO THE PRIZE DRAFT!! I think the real question is, can I get out of the basement and move ahead of PJ? Only 8.5 points! I will commence the prize draft as soon as I'm home next weekend! Last edited by teeks643 on 2018-Apr-Sun-10-04, edited 1 time in total.